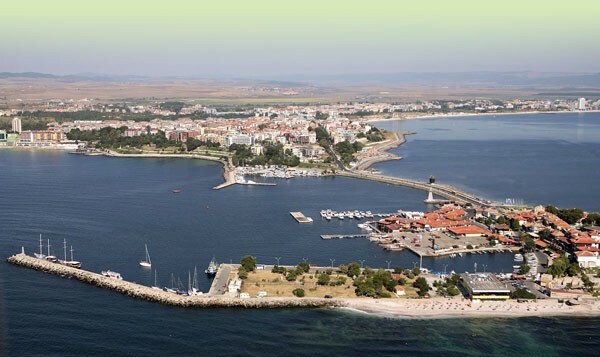 Nessebar City Council adopted the estimates of the Municipality of Nessebar for 2012. Since 2007 Nessebar introduced a number of initiatives of the local authorities concerning the care it takes for its youngest citizens, holding back the young people in the municipality and in respect of the citizens of the third age. This policy continued up until now and for this reason and in 2012, the tendency of Nessebar Municipality budget to be socially oriented remains. The agenda of the session included 40 points, as the most important one was the estimates of Nessebar municipality for 2012. Following the amendment, one of the points included in the draft budget to be voted on separately by 13 votes "pro" and 5 "contra," the budget of the Municipality of Nessebar was adopted by 18 votes "pro" from the 18 municipal counselors, who attended the session. The macroeconomic framework of the project budget for 2012 is 51,170,000 BGN. This year too retain the financial aids given for a newborn child equal to 2000 BGN, as well as the relief for the hemodialysis patients, residents of the municipality. The discounts for students and pensioners for the use of the municipal transport remain too. And in 2012, funds are provided again for the residents of the Municipality Nessebar, benefiting from the "in vitro" Program. The aid to needy inhabitants of the municipality is kept too by resolution of the City Council. The state subsidy for education this year amounts to 4,822,353 BGN and the additional funding onside the municipality will amount to 1,949,543 BGN. Nessebar is one of the few municipalities supporting with substantial resources the activities of the cultural centers on its territory too. The state subsidy this year amounts to 103,968 BGN and the extra own funding by the municipality is 330,900 BGN. For the pensioner clubs are envisaged 92,400 BGN. This year too Nessebar municipality will finance with substantial resources the MIA (Ministry of Interior) and "Fire Safety and Rescue" Directorate. The capital program for 2011 will amount to about 14,578,726 BGN. Concerning the construction program, in 2012 important infrastructure projects will take place, for whose implementation Nessebar municipality will use credit funds. With the submitted budget, the municipality aims to ensure the normal functioning of all public structures, with the main objective of solving problems of local social significance.